Okay, the reality is Crape Myrtles are very resilient and will often times thrive with heavy or incorrect pruning techniques. However, proper pruning techniques must be implemented early on for them to boast a symmetrical shape adorned with beautiful flowers,. The topping of Crapes will ultimately lead to several thin shoots springing forth from an ugly bare trunk. These shoots might make fantastic switches but are inept at carrying the weight produced by the clusters of flowers and will droop. To get started pruning a Crape Myrtle, you will need three basic tools. When purchasing each of these tools do not skimp on quality to save a few bucks. With my lawn maintenance company we have had consistent results using Fiskars products. 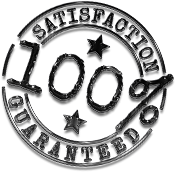 They are reasonably priced and are made of quality construction. The first tool is a set of pruning shears (hand shears). They can be used to remove suckers from the bottom of the tree and any twigs or branches up to about a ½ inch. Next you will need a pair of loppers. Loppers are one of the tools I use most in small tree and bush trimming. A good pair of loppers can handle branches and trucks up to about 1.5 inches. 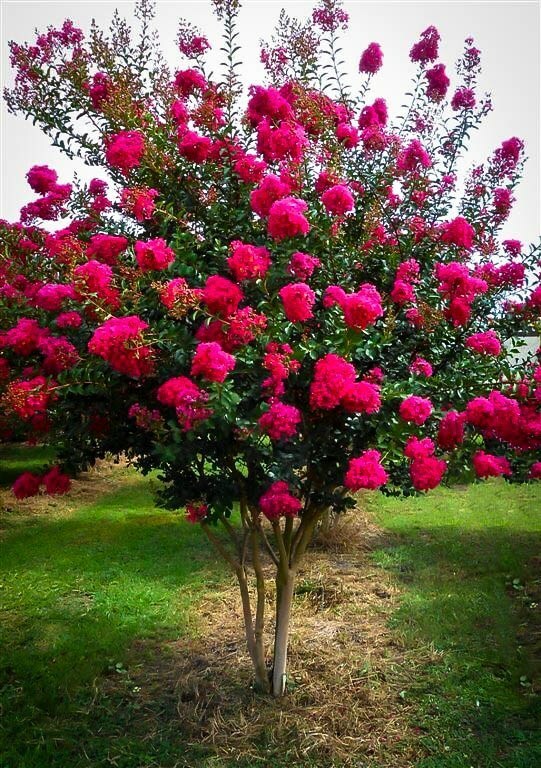 It should be noted that younger Crape Myrtles will usually only require shears and loppers to be pruned effectively. However, with mature trees you may need to add a hand pruning saw or pole saw to the tool list. This will allow you cut branches and trunks above 1.5 inches thick an reach high branches from the ground. First- Remove all but 3 to 5 of the strongest most appealing trunks at ground level; choose trunks that do not cross and are not diseased or misshaped. Also, cut off any suckers, which are sprouts growing around the base of the trunk (s). Crape Myrtles are a multi-trunk tree naturally, so sucker removal is a continuous process during the entire growing season. Second- Remove any side branches that are coming off the main trunk(s) at least four feet high. Personally, I prefer to remove side branches at least 6 or 7 from the ground if possibly. This makes lawn mowing and maintenance around them much easier and less damaging to my face and forehead. Third- Remove dead, diseased, crossing, or any branches that take away from the overall symmetry or aesthetics of the tree. I Prune Crape Myrtles into a V or Chalice shape, with little or no flaring at the base. Finally- Remove any higher branches that cross or are growing towards the center of the tree. Try to envision your Crape Myrtle “exploding” from its center forcing the branches outward. Ultimately it will take some practice to become proficient at pruning Crape Myrtles. However, following these basic tips can greatly reduce your learning curve and prevent a massacre from occurring on your lawn. If you have engaged in the annual ritual of Crape murder you can now free yourself from future wrong doings. And After a few seasons you should have your Crape Myrtles shaped and sculpted into brilliant botanical boles that bolster beautiful blooms.